Autodesk announced Wednesday an open software platform for 3-D printing called Spark, which will be open and freely licensable to manufacturers and others. The 3-D design and simulation software company also plans to introduce its own 3-D printer that it said will serve as a reference implementation for Spark. Its design will be available publicly for further development and experimentation, Autodesk said. Both the Spark software platform and the printer will be available later this year, Autodesk said. “Together, these will provide the building blocks that product designers, hardware manufacturers, software developers and materials scientists can use to continue to explore the limits of 3D printing technology,” Carl Bass, Autodesk president and CEO, wrote in a blog post on Wednesday. The company plans to work over the coming months with hardware manufacturers to integrate the Spark platform with current and future 3-D printers, he said. It wasn’t clear which open license Autodesk plans to use to license its platform or the price at which Autodesk plans to offer the printer. Company spokesman Noah Cole said the details would be provided closer to availability, which is expected in the second half of the year. “We are planning to make both the software and printer as open as possible but have not yet specified the licensing details,” he wrote via email. “The printer will be able to use a broad range of materials, made by us and by others, and we look forward to lots of exploration into new materials,” Bass wrote. Gartner said in an analysis that the Spark software platform would help improve the interoperability of software, hardware and material suppliers. “Autodesk has drawn an analogy between its software platform Spark and Google’s Android offering: Both are designed as a foundation on which different providers can build tools that will meet their markets’ and users’ requirements,” Gartner analysts Pete Basiliere, Michael Shanler and Marc Halpern wrote. The Autodesk initiative is one of several open-source projects in the area of 3-D printing. The RepRap project, for example, is focused on using 3-D printing for making self-replicating manufacturing machines. 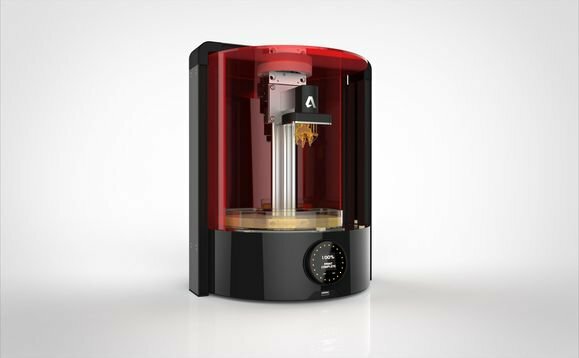 The proliferation of desktop printing could help drive sales of Autodesk software which is used to design and model real-world objects. The 3-D printer market grew 109 percent in 2013 to $711 million and is expected to grow 79 percent in 2014 to $1.3 billion and to $5.4 billion by 2018 with some big players including Hewlett-Packard making an impact on the market, research firm Canalys said in March. Sales of printer materials and associated services were $1.8 billion in 2013. HP CEO Meg Whitman said in March it planned a “big technology announcement” in June around how it is going to approach the 3-D printing market.